Renegade Rowing Team enjoying an early morning row! Are you ready for 13.3? It could be a 2k. Either way our next testing day is coming up in a couple of weeks, so now is the time to dial in your race strategy. You’ll definitely want a game plan going in. 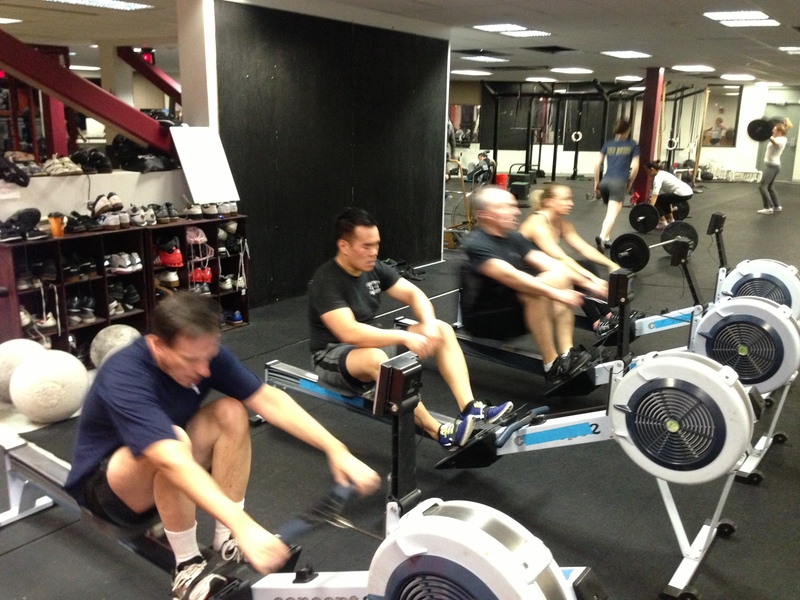 This is a Rowing WOD we did last month and today is a chance to test your training and see if you’re ready to go. Use today’s Rowing WOD to test out your race strategy. Perform the first two pieces with a focus on consistency in stroke rating and splits. If you’re feeling solid try to go a little bit faster each consecutive piece. If you have your splits from February try to improve upon them and finish stronger on the last couple of pieces. Over the next two weeks we’ll be dialing in our speed with shorter intervals, so get after it today. Now is the time to see what you’ve got and push yourself. This entry was posted in Rowing and tagged endurance sports, functional movements, healthy-living, mental toughness, new sport, row 2k, rowing, sports, training by Renegade Rowing. Bookmark the permalink. Hey Coach, just wanted to let you know why I haven’t been posting. Two Saturday’s ago, the night before I was to be judged on 13.1, we had a line of thunderstorms come through Fort Worth, of which produced several lightning strikes that lit off a few houses and one set of apartments, all on my side of town. I turned an ankle pretty bad at one of the fires. MRI showed no damage so I should be back early next week getting back after it. I did 13.2 on this ankle (did step-ups) and got 217. Oh well, next year! You boys take care. I’m gonna have to get on some people, I haven’t been seeing a lot of posts being put up. Can’t have that! Thanks for the update Larry! I was getting worried. I hope everyone is alright. I’m glad to hear the MRI turned out alright. Be sure to ease back into things and keep up with mobility for it. That’s a decent score for a bad ankle too! I got 239 doing a mix of step ups and jumps. Looking forward to having you back!